Founders and managers of BDS Meeting, John and Linda Boozer certified as CMP’s in 2007 and have handled over $10mil in meeting and event business throughout the United States, Mexico, and the Caribbean. Prior to launching BDS, John worked over 20 successful years in sales management with AT&T and US WEST companies. His vast experience in planning, organizing, and delivering services, allowed him to excel in the meeting planning profession and continue his commitment to excellence. John has appeared in numerous industry publications including Successful Meetings Magazine and Black Meetings and Tourism Magazine. John holds an MBA from Arizona State University. He has a passion for helping others and has served on numerous non-profit Boards, Councils, and Committees. Pursuing her passion for entrepreneurship, Linda left a long and successful career at AT&T to manage BDS’ first major event in Breckenridge, Colorado. This successful high profile event was recognized nationally and gave extraordinary experience in this competitive industry. Linda prides herself on attention to detail, professionalism, and delivering a high level of customer service to each client. She has built her reputation on relationships and strives to ensure every client receives first-class service in every transaction. 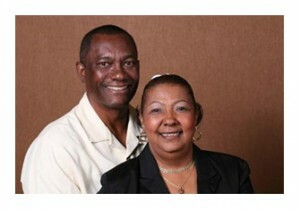 Committed to community service, John and Linda are active members of several organizations. Present or past memberships include National Coalition of Black Meeting Planners, Rocky Mountain Minority Supplier Development Council (MPMSDC). Board memberships have included National Coalition of Black Meeting Planners, Zion United Community Credit Union of Denver, Advisory board to Colorado Xplosion women’s professional basketball league, Volunteer Teacher, Cenekor of Denver, Volunteer, Junior Achievement, Founder, S.O.S. Jobs of Phoenix, Arizona, and Visit Denver Customer Advisory Board.